Blog - What's your travel system style? 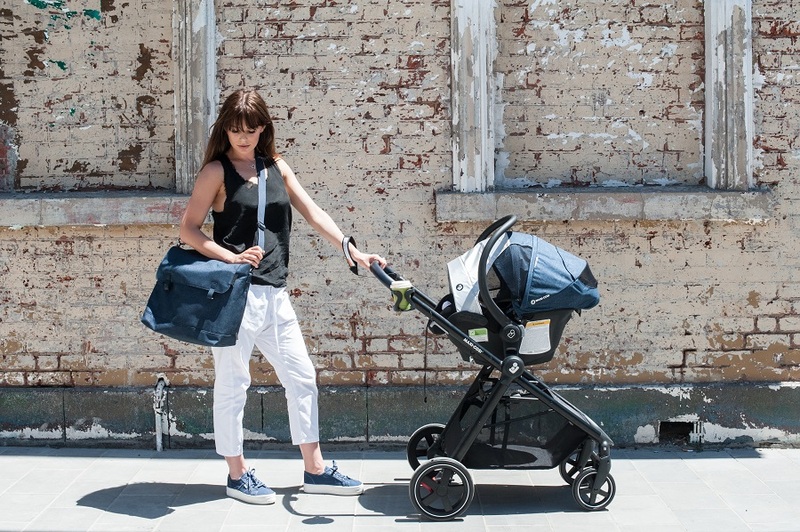 What's your travel system style? Are you on the hunt for a travel system that offers the utmost safety for your baby and has your style covered as well? At Maxi-Cosi we don’t believe that you should have to substitute style and quality when becoming a parent. In fact, we believe that you should be able to find a stroller and baby capsule that perfectly aligns with your own style. You are still you after all. No matter if you are all black everything, minimalist with a pop of colour, of if you love to colour block. We have put together an eye-catching combination of products that reflects your unique personality and individual style, whilst keeping your most precious cargo safe. Our exciting array of bang-on-trend colours available in an extensive range of car seats, strollers, accessories and carrycots, give you loads of exciting possibilities. And, as every Maxi-Cosi baby capsule can be clipped on to every Maxi-Cosi stroller, it’s easy to create the perfect travel system combination. Discover vibrant colours and tactile fabrics inspired by the latest trends and what it means to be a modern parent when you explore our collection. Here are a few tips to help you rock your travel system. From practical, stylish darks to bold outspoken hues, we’ve got everything you need to mix and match for a stunning style statement. As well as being super-stylish, darks add a touch of elegance to any outing and coordinate perfectly with every outfit. Combine them with bolds to express your personality, or mix and match with laid-back lights to soothe your baby and relax you. Modern parenting is full of challenges – and full of fun. We’ve got the exciting textures, contrasting colours and tactile fabrics that express the way you live today. Maybe you like bolds. Maybe he likes darks. With Maxi-Cosi you can mix it up as much as you like, combining colours to create a system that’s unique to your family. Add in a Laika Carry cot, or a Maxi-Cosi Modern Nappy Bag in a complementary colour can put the finishing touches to a truly stylish travel system. Are you after more style inspiration? Get the Maxi-Cosi Look with the help from some of our favourite bloggers and Instagram personalities over on our Instagram page. If you think you have what it takes to become a Maxi-Cosi Influencer and want to collaborate with us, please contact us via our online form. Now it's over to you, tell is in the comments below what you think of our travel systems, or if you have any questions. We would be happy to help you find a Maxi-Cosi travel system solution for you.